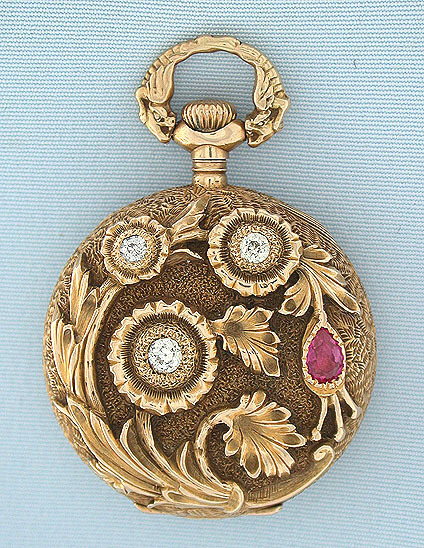 Beautiful Gruen 14K gold, diamond, and ruby beautifully decorated ladies antique pendant watch circa 1900. The case with overall engraving, the back with a high relief spray of flowers set with diamonds and a ruby. Unusual bow with mythical beasts. 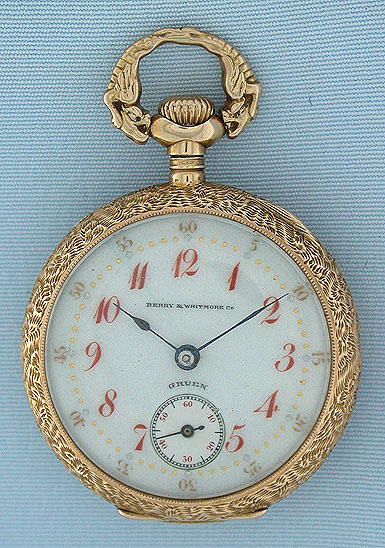 White enamel dial (minor hairlines) with red and gold numbers, gold and silver minute markers, and blued steel hands. 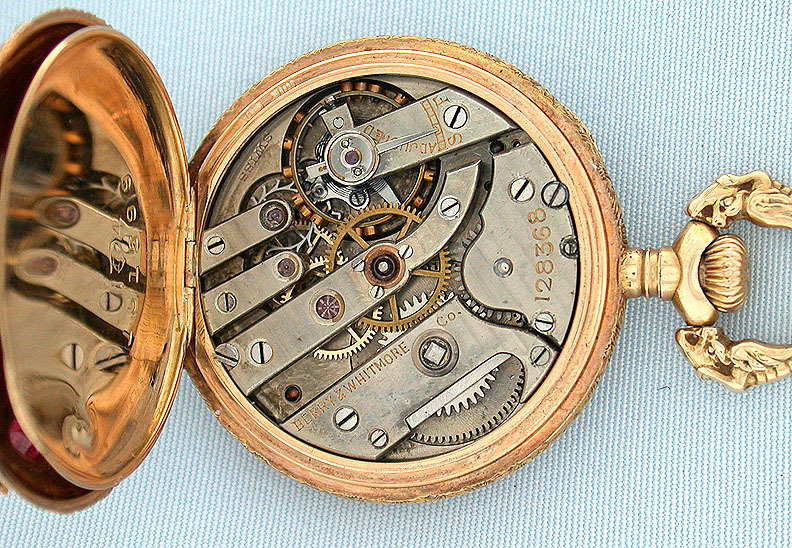 Nickel 16 jewel adjusted movement.